Deciding to be a freelancer could be the best decision you make. The independence that freelancing gives you and the variety of work and varied clientele is very rewarding. 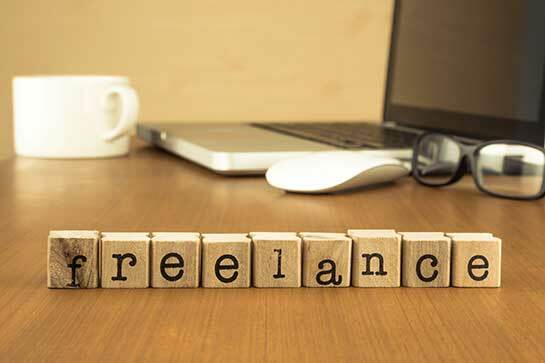 However, all freelancers will work with difficult and demanding clients at some point in time. Dealing with complex situations and demanding clients is never easy. However, this article will provide you with expert advice to deal with these sorts of clients. Demanding clients are often those that work themselves 24/7 and expect you to do the same. They believe that even after a hard days work, work must follow them home. Calling or emailing you at any time during the day seems normal business practice to them. This can be annoying if you are taking a day off with the family or spending time with friends. Weekend calls can be dealt with politely by acknowledging that you only take emergency calls at weekends. Demanding clients that can’t make up their minds will cause you problems in the long run. As you begin to make progress, they will change their decisions and expect you to start from the beginning again or work on something different. Deciding how to work out charges for such clients is very difficult. Ensuring that everything is in writing will protect you if they change their minds. Having proof as to what was agreed to at the beginning of the contract will solve many disputes. A specific contract outlining exact what work is to be done needs to be agreed on before work begins. Always request a 50% deposit at the onset of work. These type of clients can present you with an opportunity to take the lead and present them with your ideas and take charge of the work to be done. They usually need guidance and you will have to take leadership and guide them showing them your expertise and knowledge. This wil present you with a real opportunity to shine. During consulations ask the client what they require, what they want and give them creative solutions. A concrete plan with specific deadlines and goals will ensure that no misunderstandings occur. Clients that pay on time are the best type of clients. However, there will always be those clients that never pay on time. The stress that this can cause you especially when you have your own bills to pay, means that you will end up chasing them and spending unnesserary effort and time on these clients. Clients that delay payment and them give you an excuse for it should be treated with caution. These clients should be avioided especially if this happens more that twice. Leave clients whose excuses don’t seem legitimate and find other clients who will pay you on time. If it is a contract that you need to maintan as it is well paid, then write specific terms in a new contract for the remaining work to be completed, setting out payment terms.